DC restaurants are making The Year of the Pig a great time to pig out! The Chinese New Year celebrates the beginning of the Chinese calendar year on Tuesday, February 5th. It is a very popular day to dine out for Chinese natives and fans. So how to possibly narrow down where to go? We asked area chefs, bartenders and owners what their Chinese zodiac sign was so you can find your perfect match. So first double check what your Chinese Zodiac is with this nifty search tool. Next find your match below! The upstairs dining room will feature live chef action stations with different presentations of duck, and a whole pig roast from Sloppy Mama’s BBQ pit master and owner, Joe Neuman. Downstairs, guests will enjoy Japanese whisky, an ice luge and stations featuring a variety of dumplings. Executive chef Russell Smith has tapped leading chefs from around the city, including Himitsu’s Chef Kevin Tien who will open the forthcoming Emilie’s, Poca Madre’s Chef Faiz Ally, Doi Moi’s Chef Johanna Hellrigl, Momofuku’s Chef Tae Strain, Chef Rob Rubba is opening the soon-to-come Oyster Oyster, Chef Michael Rafidi, Sweet Home Café’s Chef Jerome Grant and Dirty Habit’s Chef Kyoo Eom. These chefs will provide their own creative interpretations of Chinese-inspired dishes. Tickets, which include all food and drink, are available here for $85. Spoken English will be celebrating the Chinese New Year throughout the week, and dragon blessings will abound next Saturday night in the lobby of the LINE DC. The Year of the Pig is looking very fortuitous indeed: grab a cocktail, snag a front row seat on one of the couches, and help ring it in. This is happening in the 7 o’clock hour – calendar info here. Tiger Fork’s Night Market has returned, this time to celebrate Chinese New Year! On Thursday, February 7th, from 8pm – midnight, Tiger Fork will team up with guest chefs Leopold Liao of Reren and Shanghai Lounge’s Chef Mao to showcase special dishes like Chengdu Spicy Wontons, Grandma Pancakes and Salt & Pepper Fish. Tiger Fork’s own Chef de Cuisine, Jong Son, will offer selections from the restaurant’s late night menu at his food stand. DC Brau will also be on hand pouring a selection of their beers. Tiger Fork’s beverage director, Ian Fletcher, will feature his Traditional Chinese Medicinal cocktails, like the 8’oclock Light Show cocktail, mixed with rum, mandarin, yuzu, cacao, ginseng and additional Chinese herbs. Traditional Chinese market items will be sold, like specialty candies, fruits, trinkets, jewelry, herbs and gifts and a DJ will curate a fun playlist throughout the night. No ticket or reservation for the event is required, as all offerings will be first-come, first-served. Can’t make it to the night market? 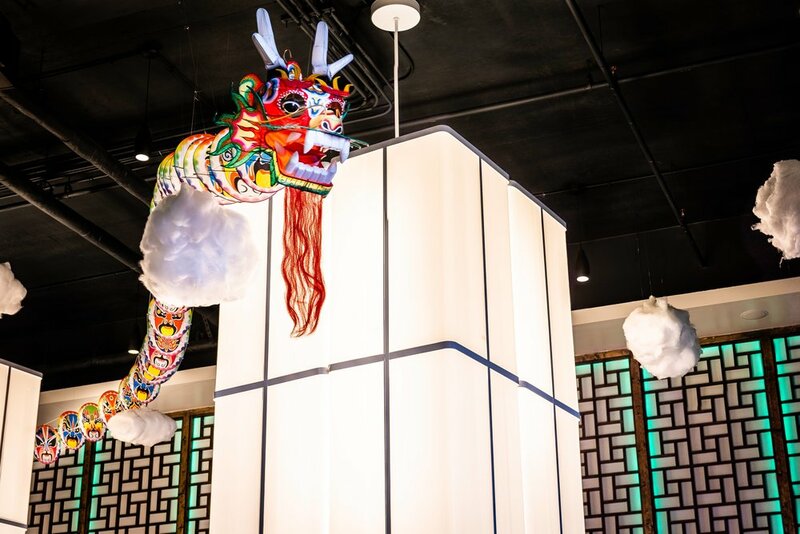 Tiger Fork will celebrate the Year of the Pig on Saturday, February 9th from 2pm - 7pm, with special performances featuring Chinese lion and dragon dancers as well as Kung Fu demos from martial arts professionals and complimentary hot tea. The chefs will also feature a limited-time Chinese New Year menu from February 4th – 17th featuring specialty dishes like Lotus Root Salad, Milk Tea Custard and Pork Dumplings. The special menu can be viewed here. The Royal in LeDroit Park is ringing in the Chinese New Year with a festive “Royal Knights” cocktail pop-up, featuring the culinary talents of three of DC’s hottest guest bartenders and chefs, innovative $8 cocktails, Baijiu boilermakers, creative Chinese snacks and more. On Monday, February 4 from 8:30 p.m. to 1 a.m., special guest bartender Ian Fletcher of Tiger Fork will take over the bar, joining serving creative cocktails incorporating medicinal Chinese herbs and traditional flavors such as Szechuan pepper, sesame and 5-spice; while guest chefs Kevin Tien of Himitsu and Tim Ma of American Son at the Eaton will join Royal chef Cable Smith in the kitchen for the evening, serving a special one-night-only menu of Chinese-inspired snacks such as sweet ‘n sour pork belly steamed buns and crispy beef chow mein. On Sunday, February 17th, from 11:00AM to 2:00PM, Q by Peter Chang has announced that they will be celebrating the arrival of the Chinese New Year – the Year of the Pig - with a colorful and interactive ‘Temple Fair’ experience of which will be open to the public. Fun for all ages and priced at $20 per child (12 and under), and $50 per adult, ‘Temple Fair’ festivities will be taking place in Q by Peter Chang’s main dining room featuring holiday-inspired décor including dozens of red paper lanterns, a giant 40+ foot custom made dragon inspired with a Beijing opera face hovering above the dining room, and over a dozen stations showcasing a variety of signature food and beverages, and activities. Stations are set to include: a Peking Duck station, Chinese Calligraphy Table, a Piggy Bao station, a Paper Cutting station, a Dumpling station with live demos and tastings, a Sugar Painting station, a Candied Fruit station, and a Wok station, amongst others. This event will be all-inclusive, plenty of food options will be available for vegetarians, vegans, and carnivores, and live music featuring classic Chinese instruments will also be enjoyed by attendees throughout the celebration. 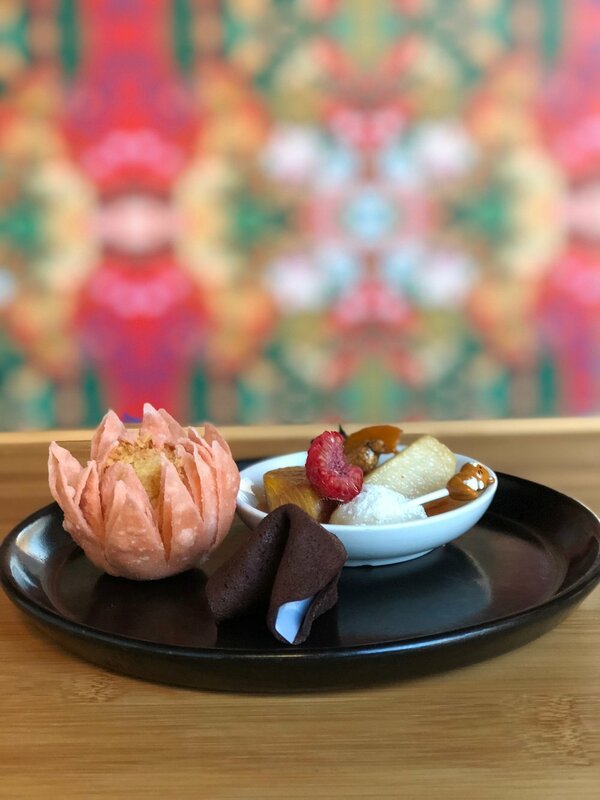 Ice Cream Jubilee is celebrating Lunar New Year with new flavors and Asian-flavor inspired ice cream tasting flights. Tasting flight tickets ($16) include on serving of 6 limited edition flavors and an ice cream pint to take home. The tastings will occur at all Ice Cream Jubilee stores (Yards Park, 14th & T Street, Tysons Galleria) in the two weekends prior to the Lunar New Year (February 5), plus tastings on Chinese New Year and Chinese New Year Eve. Reserve seats here.